Can Palestinians ever Get a Break in the American Press? As tragedy and uninterrupted terror strikes the besieged Palestinian population once more, Western media outlets have been busy producing and presenting articles and television reports on the events taking place. These “news reports” – for the lack of a better terminology – are presented as factual and true, objective and neutral, unblemished by personal, emotional, political, or historical bias. A total of 22 Palestinian civilians were killed by Israeli security forces, 1,226 Palestinians were injured, and 629 were forcibly displaced since the start of 2014. Indeed, much of the traditional Western mainstream media has prided itself as being of a professional standard when it comes to producing and presenting the news. They are looming at the top spot of the international information hierarchy. It is commonly believed that Western news items are crafted by the highest standards, drawn from cold-calculated facts, and presented in an allegedly balanced fashion to an awaiting audience, so that they can be informed. This is frankly not true. The coverage of what is happening in Palestine at this very moment is but another example, in an almost-infinite length of examples in regards to Palestine as well as other non-Western society and events, of that process. By starting here, the reader is in effect told that events prior are inconsequential or unrelated, or simply that all was well in Palestine. Suppose news stories took into account the killing of two Palestinian teenagers, and the injuring of 11, by Israeli soldiers on May 15. Video footage show that the two teens – Nadeem Nawara and Mohammed Salameh – posed no threat and were not involved in the protests at the time, yet both were shot in the chest in two separate occasions within the span of an hour. The incident was reported and quickly forgotten, forever disconnected from the grander context. Imagine, if one extends the beginning point further, and takes into account total casualties since the start of 2014, the premises that underline any story about Palestine today metamorphoses way beyond recognition to what is routinely presented by these outlets. Looking at monthly humanitarian bulletins published by the United Nations Office for the Coordination of Humanitarian Affairs on the Palestinian occupied territories from January to May 2014, the numbers are striking. The fact of the matter is that Israel is a nuclear-armed state with a sophisticated military and security apparatus, funded and backed by major powers. According to statistics complied by the Israeli human rights organization B’Tselem, 593 Palestinians have been killed by Israeli forces since January 2009 – when a major, bloody assault on Gaza ended – and seven Palestinians have been killed by Israeli citizens. Of the dead are 90 minors and 21 Palestinian women. In contrast, 10 Israeli security personnel and 29 Israeli civilians have been killed by Palestinians since January 2009. Of the dead Israelis, six were minors and six were women. That alone demands a momentary pause. Furthermore, this does not take into account the general repression facing Palestinians, whether it is the continual expansion of colonial settlements, heavily armed and backed by the Israeli army, and supported by the on-going illegal construction of the Apartheid wall, within the West Bank, as well as the enduring and ever-tightening seven year old blockade of the Gaza Strip, which on its own causes immense social, health, economic, and other difficulties, among other forms of repression that are part and parcel of the daily experience faced by Palestinians since 1947-48. So far, in the course of today’s military operation, at least 10 Palestinians have been killed by Israeli security forces in the West Bank and Gaza. They are: Yousef Abu Zagha, 16; Mahmoud Jihad Mohammed Dudeen, 14; Mustafa Hosni Aslan, 22; Jamil Ali Abed Jabir, 60; Mohammed al-Fasih, 23; Usama al-Hassumi, 25; Ahmed Said Suod Khalid, 27; Atallah Tarifi, 30. The other two are an unnamed 11-year-old boy and an unnamed pregnant woman who bled to death under the rubble of her home after an Israeli strike. Beyond casualties, as the Western media focuses on the kidnapping of three Israeli teens, none of them took into account the kidnapping of more than 570 Palestinians since June 12. The term routinely used is “arrests” or “military sweeps” which immediately conveys legitimacy and justification regardless of the fact that none of those Palestinians – including minors – had anything to do with the kidnapping. The equalization of pain is another factor that arises in the Western dispatches. When Palestinian suffering is catered to, and it rarely is, it usually has to be presented side-by-side with Israeli suffering. This equalization implies that “both sides” are on a level playing-field. Western governments – and their allies including the vast majority of Arab states who are unignorably silent of the current repression in Palestine – are firmly allied with Israel. The fact of the matter is that Israel is a nuclear-armed state with a sophisticated military and security apparatus, funded and backed by major powers. It is much more dominant and has free reign to do what it pleases without impunity. This key detail is practically non-existent in the picture painted by Western news outlets. The lack of this vastly important distinction by Western news outlets stems and branches out from the distorted narrative that the struggle in Palestine is that of two people who have equally legitimate claims to the land. This does not fit the historical record – in that, one people, the Palestinians, are the indigenous population while the other came into the country as part of a European militarized colonial project. But more likely than not, much of the narrative by Western news outlets is concerned with how Israel is facing an “existential threat”. The reader today can seen headlines of this narrative, where Israel eternally “responds” to rocket fire, Israel perpetually “fears” a third intifada, Israel always “mourns” its dead. Israel’s acts are ultimately called a “retribution,” a term infused with righteousness. 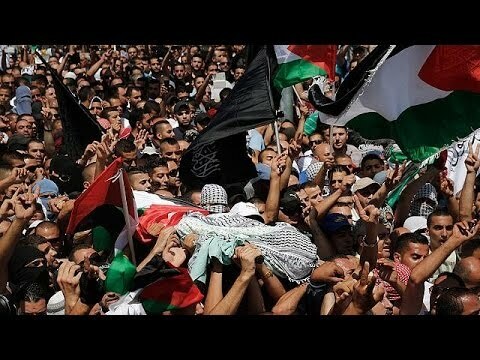 The horrible murder of Mohammed Abu Khudair, 16, from East Jerusalem who was kidnapped and burned alive by suspected Israeli settlers, is another representation of the Western media’s bias. Prior to the murder, Western media outlets barely covered the calls for blood among the Israeli civilian and military sector. None of the media outlets noted the celebration of Abu Khudair’s death by Israelis on social media, nor did they note the hearsay or claims by Israeli police that Abu Khudair was killed due to his sexual orientation or due to a clan infighting – both outright lies. Ironically, it was only Buzzfeed – not a prominent news agency – that had one report about the victim-shaming and blaming by Israelis, albeit coupled with examples from the Palestinian side. For its part, The Washington Post did not even bother categorizing Abu Khudair as a Palestinian teen, while The New York Times decided to go with a headline referring to Israel “on edge” after “possible revenge killing of Arab youth,” coupled with a front page photo of a faceless Palestinian throwing a stone. The headline and photo were changed only after mass criticism arose. NYT’s Jerusalem bureau chief Jodi Rudoren’s reporting in particular is notable by the fact that her own personal coverage of the dead Israeli teens portrays are clearly more empathetic. From sharing heart-breaking images of one of the dead Israeli teen’s mother, sharing the live-stream video of the Israeli funeral (and not the live-stream video of protests in the West Bank), selecting humane quotes from the dead’s family members and Israeli officials, to which celebrities sent in their condolences. Meanwhile, at Abu Khudair’s funeral she took great pains to note “masked youths” at his funeral (the only funeral she covered on the Palestinian side), noting that the crowd were chanting “Allahu Akbar” (rather than translating it to “God is Great”) and firing bullets in the air. Susan Rice, former US Ambassador to the UN and currently National Security Advisor, is a classic case. We call on all parties to avoid an atmosphere of revenge and retribution. “Despite the variety and the differences, and however much we proclaim the contrary, what the media produce is neither spontaneous nor completely ‘free news’ does not just happen, pictures and ideas do not merely spring from reality into our eyes and minds, truth is not directly available, we do not have unrestrained variety at our disposal. In terms of the Western mainstream media’s coverage of Palestine, this holds very true. The “rules and conventions” noted by Said and are at play are driven by the interests and policies of the states they are from. Western governments – and their allies including the vast majority of Arab states who are unignorably silent of the current repression in Palestine – are firmly allied with Israel. The media agencies within these states reflect that as they have in the past when covering the Arab world and the rest of the global south since the dawn of the modern media industry. They will no doubt continue to do so tomorrow. This is a pattern that will not end, no matter the growing outrage expressed by Palestinians and their allies, which can be clearly seen on social media, televised debates, and more. While the push-back does generate changes, right now they are cosmetic, and do not strike at the heart of the dysfunctional narrative embedded within the Western mainstream media’s coverage. What is different today, and could possibly change the dynamic, is the rise of alternative news agencies that do not conform to the “rules and conditions”. As these sites – such as Electronic Intifada, and the like – exist, are actively supported, and made available to news consumers who want to know events on the ground beyond the usual narrative, what is presented by the Western mainstream media may eventually become a moot point. Yazan L. al-Saadi has lived, studied and worked in three continents. He is currently a writer for the online Lebanese news-site, Al Akhbar English with interests in a number of subjects from pop-culture to politics, sociological issues to economic theories. Yazan holds a Bachelor’s (Honors) degree in Economics and Development Studies from Queen’s University, Canada and a Masters of Arts in Law, Development, and Globalization from the School of Oriental and African Studies.